Here’s hoping you survived the Black Friday stampedes and you’ve gotten the bulk of your Christmas shopping done. People treat Black Friday as a fairly recent invention, borrowed from across the pond, but the must-have toy crazes of 20 years ago were causing just as much of a frenzy. Here’s what everyone was clambering over each other for back in the year 1997 (I know, realising that Christmas 1997 was 20 years ago makes me feel old too). Through the years there has never been a cooler superhero vehicle than the Batmobile. 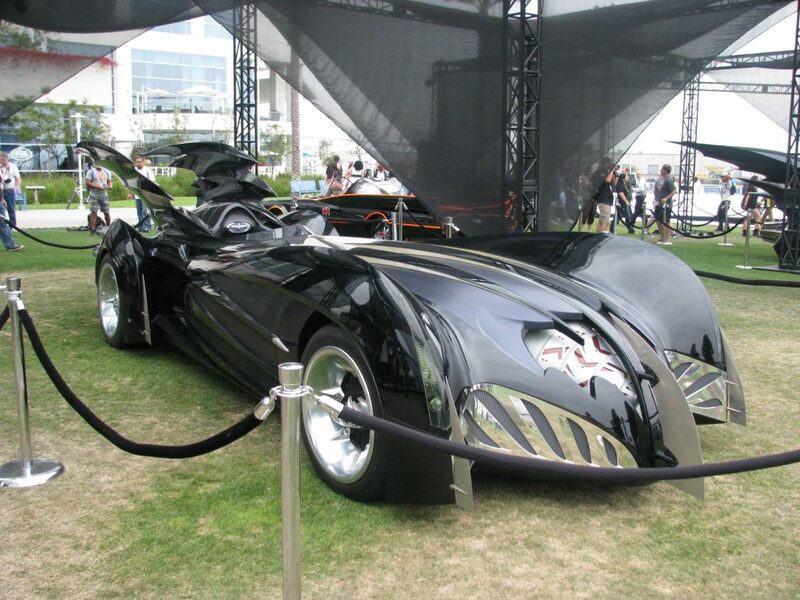 Whether it’s the bubble-windowed iteration from the classic Adam West series or the armoured beast from the Nolan movies, the Batmobile is the ultimate fantasy car. In 1997, following the theatrical release of Batman & Robin, toy company Kenner created their own remote controlled Batmobile. This iteration was more car bonnet than actual car, but that didn’t stop it from being one of the most sought after boys toys from 1997. As well as being a fun little remote-controlled car, it also had a grappling hook style projectile at the front that you could fire out. Upon retrospect, the movie has been critically panned and marks one of the lowest point in Batman’s illustrious history, but back then there was lots of hype surrounding the newest Batman movie which helped put this toy on many children’s letters to Santa. I mean, who wouldn’t want to see Arnold Schwarzenegger painted bright blue screaming bad puns? Beanie Babies are basically just adorable cuddly toys that are slightly under-stuffed with plastic beans to make them easier to pose. 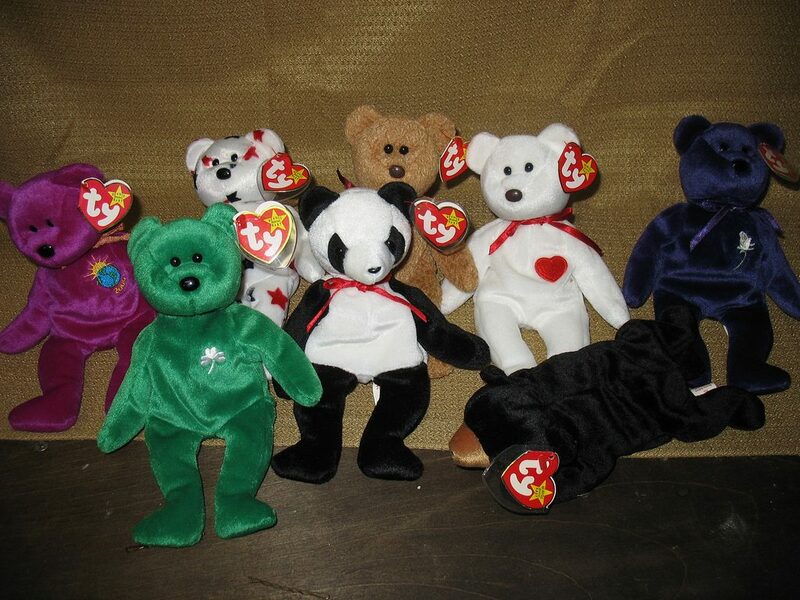 There may not seem like a lot behind these cute creatures, but back in the 90s the Beanie Baby craze was serious business. Cute, cuddly and worth 1000 times their weight in gold. Probably. Beanie babies were invented and originally distributed back in 1993, but over time their popularity grew to incredible proportions; becoming highly sought-after collector’s items and seen by many as a sensible investment due to their high resale value. Forget NASDAQ and the London Stock Exchange, just get your hands on the right cuddly toy and you’ll be set for life. One of the most note-worthy Beanie Babies was created and released in 1997 following the tragic death of Princess Diana. This beanie baby was a purple bear with a small white rose on the chest and an ode to Diana printed on the label, with all profits being donated to the Diana, Princess of Wales Memorial Fund. Originally these bears were made in very small numbers with as few as 12 being sent out to separate vendors. Demand was astronomical. Both Christmas shoppers and hardened collectors were most likely out of luck when it came to snatching this rarity up. The demand for beanie babies in general was so vast in the 90s that a thriving black market scene sprouted up; peddling cheap knock-offs as the real things at extortionate prices. The Princess bear is still incredibly sought after to this day, commanding prices in the tens of thousands on eBay, with just as many knock-offs floating around. The most popular toy of 1997 was actually a pet. Tamagotchis were little egg-shaped devices that displayed a cute little creature that would hatch from an egg that users could play with, feed, and even clean up after. 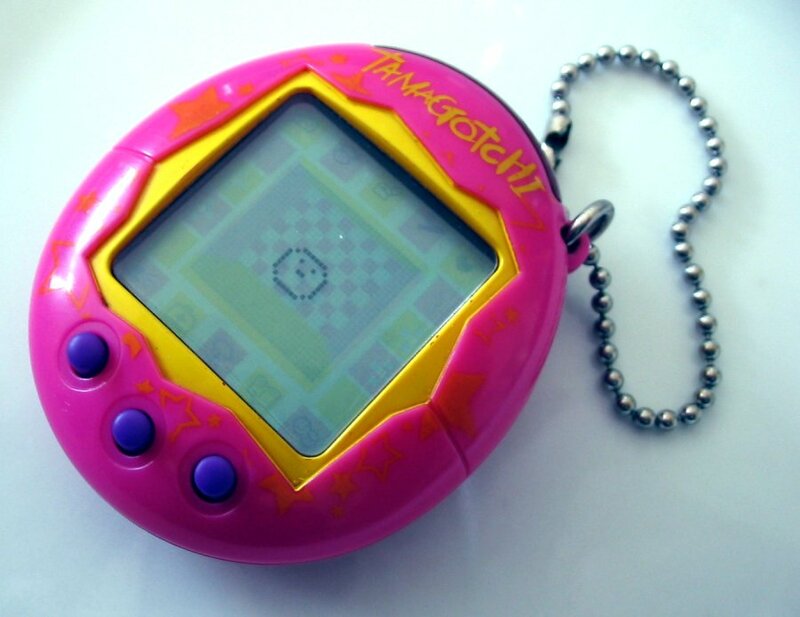 Tamagotchis were a godsend to the parents who had to deal with constant requests for pets from their children. The toy was the perfect way to teach children responsibility and pet ownership at an early age. Owners would need to feed their Tamagotchi, play with it, treat it when it gets sick and even discipline it when it misbehaved. Although they obviously weren’t real and were just pictures on a screen, they had their own life cycles that would play out over time. Tamagotchis got a considerable amount of flak from the press when it was discovered that they could die or deliberately be killed. If users neglected to feed or play with their Tamagotchis for long enough they could become depressed, malnourished, or ultimately pass away. Tamagotchis die of old age too, so death is inevitable. Children in South China were offered grief counselling to help deal with the death of their Tamagotchis. The concept of death was sugar-coated in overseas versions of the toy too, with the ghost and headstone that appears upon death being replaced with an angel or a U.F.O. The U.F.O. was meant to signify that the Tamagotchi had returned to its home planet – just like how your dog went to go live on that farm while you were at school. 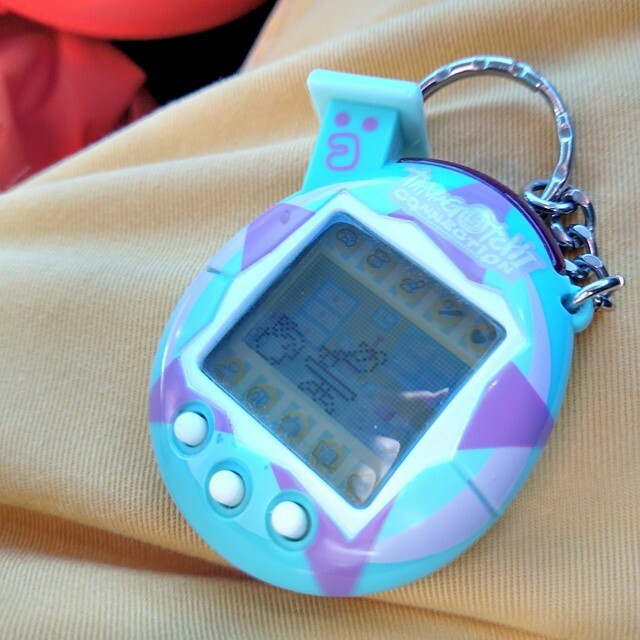 Did you get caught up in the Tamagotchi craze back in the day? Were you sad when you had to say good bye to it? 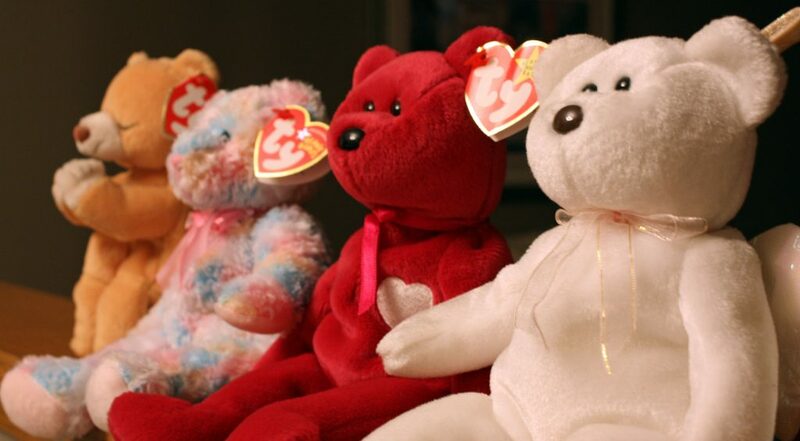 Have you got a surplus of Beanie Babies stashed away in the attic that could be paying off your mortgage? Let us know your fondest memories of Christmas back in the 90s!